5.1 Phase I: Western Palace etc. 5.2 Phase II: Northern Palace etc. 5.3 Phase III: casemate wall etc. 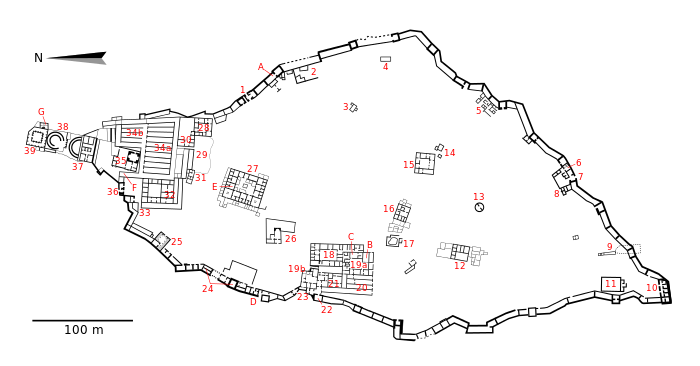 Phase I: Western Palace etc. Phase II: Northern Palace etc. Phase III: casemate wall etc. 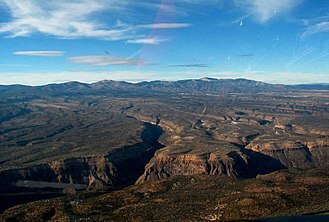 ^ pronunciation (help·info); the term simply means "fortress" in Modern Hebrew; in Biblical Hebrew מְצָד mĕtsad "mountain-fortress; stronghold" from a root meaning "to hunt, lie in wait for prey". 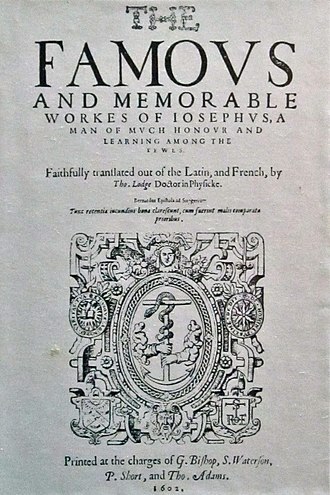 Gesenius, Hebrew-English Lexicon (H4679). ^ a b c d e f Joe Zias (2000). "Human Skeletal Remains from the Southern cave at Masada and the Question of Ethnicity". In L. Schiffman, J. VanderKam and M. Emanuel. The Dead Sea scrolls fifty years after their discovery. 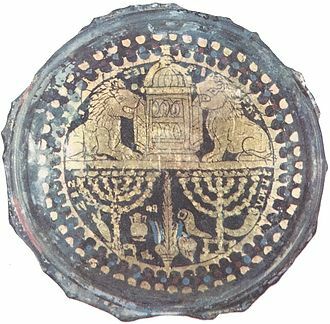 Jerusalem: Israel Exploration Society. pp. 732–738. Yigael Yadin was an Israeli archeologist and the second Chief of Staff of the Israel Defense Forces. Yadin was born in 1917 to noted archeologist Eleazar Sukenik and educationalist and he joined the Haganah at age 15, and served there in a variety of different capacities. In 1946, however, he left the Haganah following an argument with its commander Yitzhak Sadeh over the inclusion of a gun as part of standard squad equipment. He was a university student when, in 1948, shortly before the State of Israel declared its independence and he was Head of Operations during Israels War of Independence, and was responsible for many of the key decisions made during the course of that war. In June 1948 he threatened to resign during the Generals Revolt during which he accused Ben-Gurion of attempting to transform the army as a whole into an army of one political party. Yadin was appointed Chief of Staff of the IDF on 9 November 1949, following the resignation of Yaakov Dori, by age thirty-five, he had completed his military career. Upon leaving the military, he devoted himself to research and began his lifes work in archeology, in 1956 he received the Israel Prize in Jewish studies, for his doctoral thesis on the translation of the Dead Sea Scrolls. 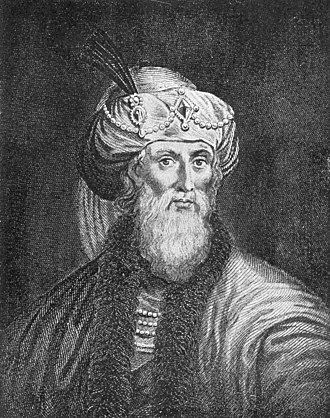 As an archeologist, he excavated some of the most important sites in the region, including the Qumran Caves, Hazor and he considered the Solomonic Gate at Tel Gezer to be the highpoint of his career. He was sometimes forced to deal with the theft of important artifacts, occasionally by prominent political, even as an archeologist, Yadin never completely abandoned public life. Furthermore, Dash was a response to the sense of frustration and despair in the aftermath of the 1973 war. Many people regarded Yadin, a warrior and a scholar, as the prototype of the ideal Israeli, untainted by corruption. In the 1977 elections, which transformed the Israeli political landscape, as a result of the election, Likud party leader Menachem Begin was initially able to form a coalition without Dash, significantly lowering the bargaining power of Dash. 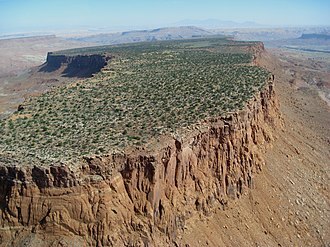 Ein Gedi (Hebrew, עֵין גֶּדִי‎, Arabic, عين جدي‎, translit. 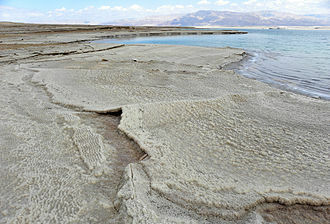 ‘ayn jady‎, literally spring of the kid is an oasis and a reserve in Israel, located west of the Dead Sea, near Masada. Ein Gedi was listed in 2016 as one of the most popular sites in the country. The name Ein Gedi is composed of two Hebrew words, ein means spring and gǝdi means goat-kid, Ein Gedi thus means Kid spring. At Mikveh Cave archaeologists found Pre-Pottery Neolithic A flint tools and an arrowhead, a Chalcolithic temple belonging to the Ghassulian culture was excavated on the slope between two springs, Ein Shulamit and Ein Gedi. More Chalcolithic finds were made at the Moringa and Mikveh Caves, no traces of Bronze Age settlement have been found at Ein Gedi. The remains of the Iron Age settlement at Ein Gedi are located at a tell on the bank of Wadi Arugot, known in Arabic as Tell el-Jurn. 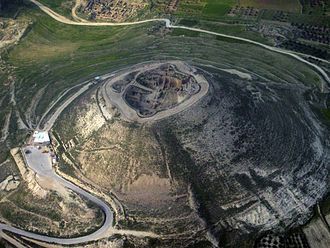 The first permanent Iron Age settlement was Judahite and was established around 630 BCE, the site was destroyed or abandoned after the Babylonian destruction of Jerusalem in 587/86 BCE. 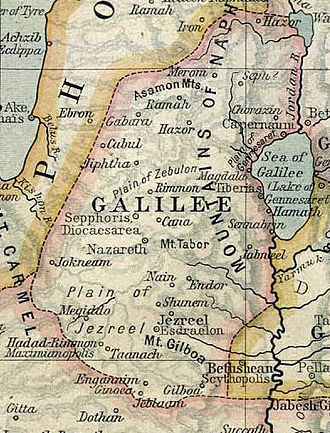 In Genesis 14,7 Hazazon-tamar is mentioned as being an Amorite city, in Joshua 15,62, Ein Gedi is enumerated among the cities of the Tribe of Judah in the desert Betharaba, but Ezekiel 47,10 shows that it was a fishermans town. 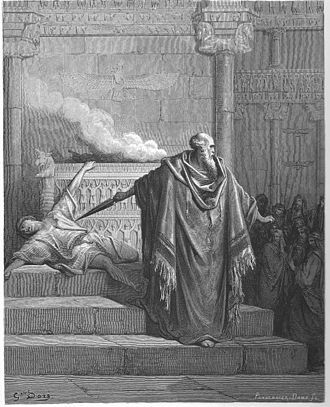 Later, King David hides in the desert of Ein Gedi and King Saul seeks him even upon the most craggy rocks, the Song of Songs speaks of the vineyards of En Gedi. The words of Ecclesiasticus 24,18, I was exalted like a tree in Cades. 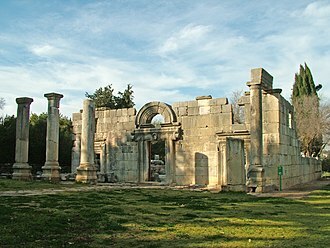 The settlement at Tel Goren is an example of a town which reached its zenith during the Persian period. 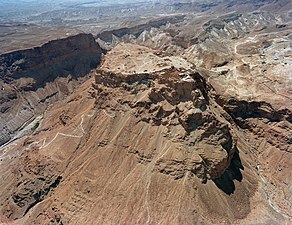 Ein Gedi receives a fortress and becomes a royal Hasmonean estate, according to the Jewish-Roman historian Josephus Flavius, the Sicarii, who fought the Romans until their defeat and mass suicide at Masada, plundered local villages including En Gedi. At En Gedi, they out the defenders, and killed over seven hundred women and children who could not run away. 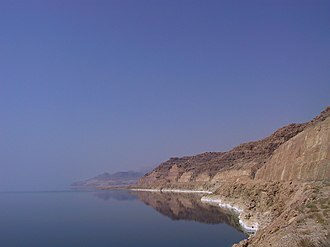 In April 1848, Lieutenant William Francis Lynch led an American expedition down the Jordan River into the Dead Sea, in 1998–99, the archaeological expedition of Yizhar Hirschfeld at Ein Gedi systematically excavated what has been called the Essenes site, first discovered by Yohanan Aharoni in 1956. 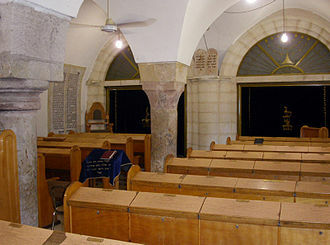 Arad is a city in the Southern District of Israel. It is located on the border of the Negev and Judean Deserts,25 kilometres west of the Dead Sea and 45 kilometres east of Beersheba. The city is home to a population of 24,436, including Ashkenazi and Sephardi Jews. 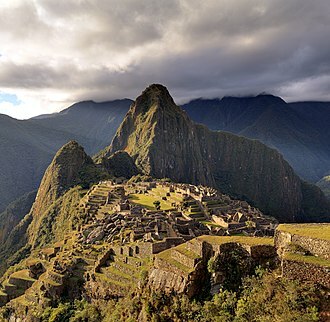 The city is notable for its clean, dry air and serves as an attraction to asthmatics worldwide. After attempts to settle the area in the 1920s, Arad was founded in November 1962 as an Israeli development town, Arads population grew significantly with the Aliyah from the Commonwealth of Independent States in the 1990s, and peaked in 2002 at 24,500 residents. Landmarks in Arad include the ruins of Tel Arad, Arad Park, the city is known for its annual summer music festival, The Arad Festival. Arad is named after the Biblical Canaanite town located at Tel Arad, Shoshenq Is chronicles seem to mention a settlement in Tel Arad. During the Byzantine period, the location was correctly identified by Eusebius. Ancient Arad became a Christian bishopric, no longer a residential bishopric, Arad is today listed by the Catholic Church as a titular see. 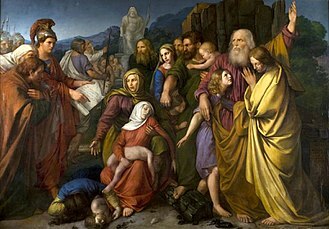 Nine men and two women attempted the task, but after four months were forced to leave because water was not found in the area. 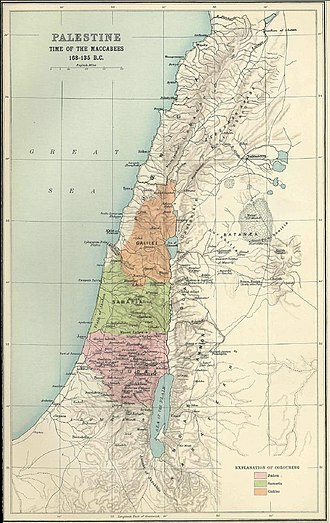 On 15 November 1960, a team was appointed by the Israeli cabinet to examine the possibility of establishing a city in the northeastern Negev desert. 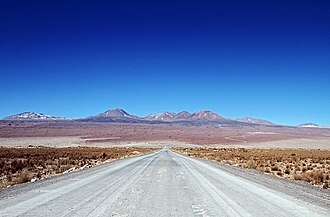 An initial budget of 50,000 Israeli liras was granted for the project, on 31 January 1961, the final location was chosen, and plans were approved for roads and water connections. In March 1961, blueprints for a city of 10, 000-20,000 residents were drawn up, yona Pitelson was the chief architect and planner. 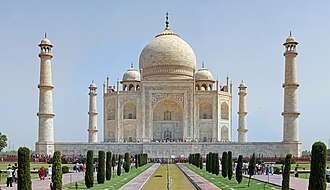 The plan took into account topography and climate, with buildings constructed with large inner courtyards that offered protection from the desert sun. High density residential areas were built first in order to create an urban milieu, the oil company Nefta built a work camp in the area in July 1961, consisting of six temporary sheds, after oil was found there in commercial quantities. The town itself was established in 1962 by a group of young ex-kibbutz and ex-moshav members seeking an environment free of overcrowding, noise, the founding ceremony was held on 21 November, and attended by then-Prime Minister David Ben-Gurion. Lucius Flavius Silva Nonius Bassus was a late-1st-century Roman general, governor of the province of Iudaea and consul. The end of the siege in 73 AD culminated with Silvas forces breaching the defenses of the Masada plateau, Flavius Silva was born in the Roman town of Urbs Salvia what is now Italy circa AD43. 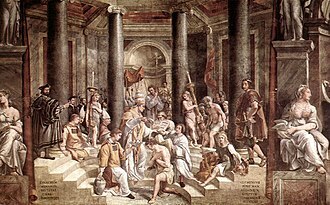 He began his career within the vigintivirat, a preliminary and required first step toward a gaining entry into the Roman Senate around 62, the vigintivirat was a college of twenty citizens charged with administering municipal and government affairs within the government of Rome. As one of the triumvir capitalis, Silva was one of three responsible for assisting the judicial magistrates, next he was appointed legate of the Legio XXI Rapax, which was stationed at Vindonissa, likely for his support of Vespasian in the Year of the Four Emperors. 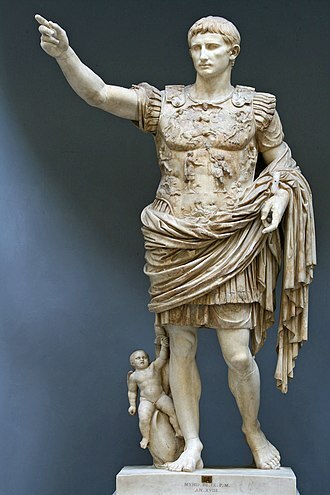 During the Census Vespasian and his son Titan performed between April and the end of June 73, Silva was adlected into Praetorian rank and to the Patrician class. 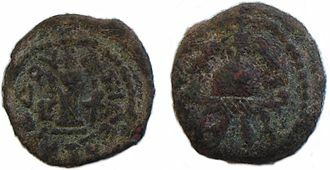 Later that year he was appointed legatus Augusti pro praetore of Judaea, replacing Sextus Lucilius Bassus, Silva was governor of Judea for eight years, until 79 or 80. 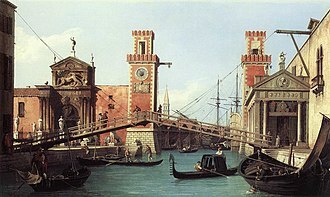 By 1 January 81 he had returned to Rome, where he welcomed the year as ordinary consul, Flavius Silva was patron of his home town Urbs Salvia, where he twice held the honorary position of praetor quinquennalis. 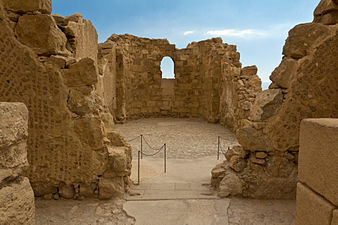 The historical context of Silvas siege of Masada was Romes cleaning up of the remaining Jewish resistance to Roman rule after crushing the rebellion in Jerusalem in 70 AD, while Masada was the last vestige of the rebellion it was as much a symbol as a threat. 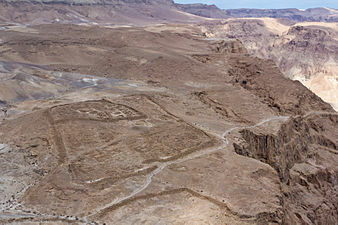 Thus, the attack on Masada was as much for Roman prestige as security, Silvas forces were a projection of Roman power. 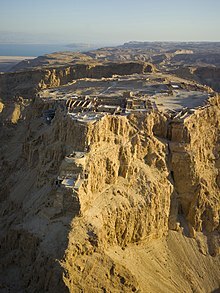 Romes 4,000 to 5,000 soldiers outnumbered the people on Masada — estimated by Josephus at 960 men and children — by 5 to 1. 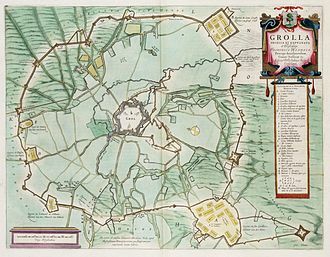 The central challenge to Silva and his battlefield engineers was to overcome the plateau and its fortifications. Silva surrounded the fortress by constructing a 1. 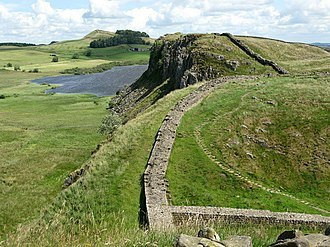 8-metre-high, 11-kilometre-long siege wall to prevent attacks. A cistern is a waterproof receptacle for holding liquids, usually water. Cisterns are often built to catch and store rainwater, cisterns are distinguished from wells by their waterproof linings. Modern cisterns range in capacity from a few litres to thousands of cubic metres, in the Middle Ages, cisterns were often constructed in hill castles in Europe, especially where wells could not be dug deeply enough. There were two types, the cistern and the filter cistern. Such a filter cistern was built at the Riegersburg in Austrian Styria, rain water passed through a sand filter and collected in the cistern. The filter cleaned the water and enriched it with minerals. Cisterns are commonly prevalent in areas where water is scarce, either because it is rare or has been depleted due to heavy use, early on, the water was used for many purposes including cooking and washing. Present day cisterns are often used only for irrigation due to concerns over water quality, cisterns today can be outfitted with filters or other water purification methods when the water is intended for consumption. It is not uncommon for a cistern to be open in some manner in order to rain or to include more elaborate rainwater harvesting systems. It is important in cases to have a system that does not leave the water open to algae or to mosquitoes. Some cisterns sit on the top of houses or on the higher than the house. They are often supplied not by rainwater harvesting, but by wells with electric pumps, modern cisterns are manufactured of plastic. To keep a clean water supply, the cistern must be kept clean and it is important to inspect them regularly, keep them well enclosed, and to occasionally empty and clean them with a proper dilution of chlorine and to rinse them well. Well water must be inspected for contaminants coming from the ground source, city water has up to 1ppm chlorine added to the water to keep it clean, and in many areas can be ordered to be delivered directly to the cistern by truck. If there is any question about the supply at any point. Water of non-acceptable quality for the aforementioned uses may still be used for irrigation, if it is free of particulates but not low enough in bacteria, boiling may be an effective method to prepare the water for drinking.